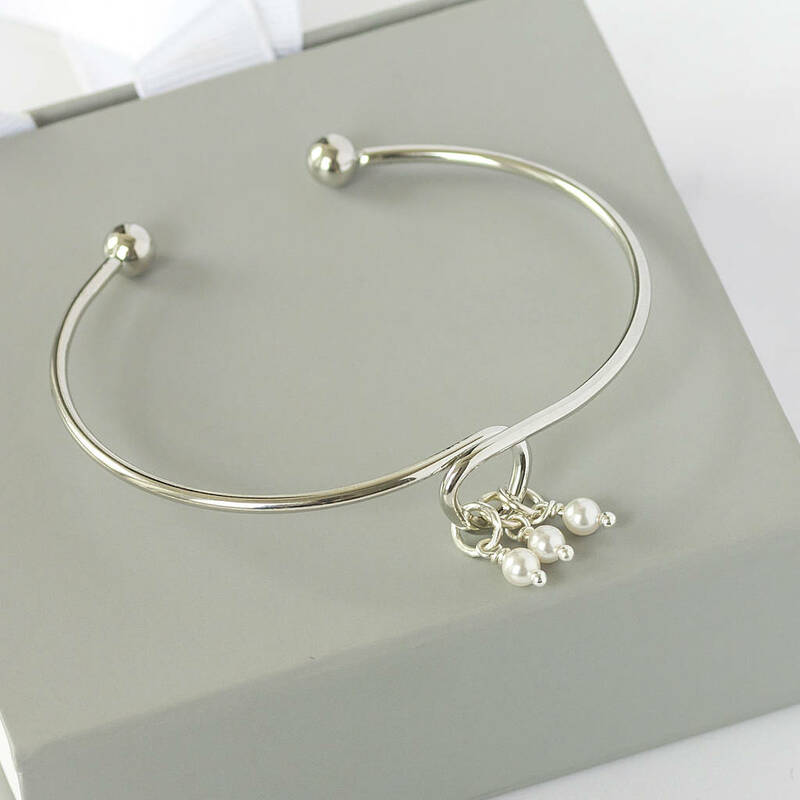 A pretty silver, gold or rose gold plated 30th birthday charm bangle. 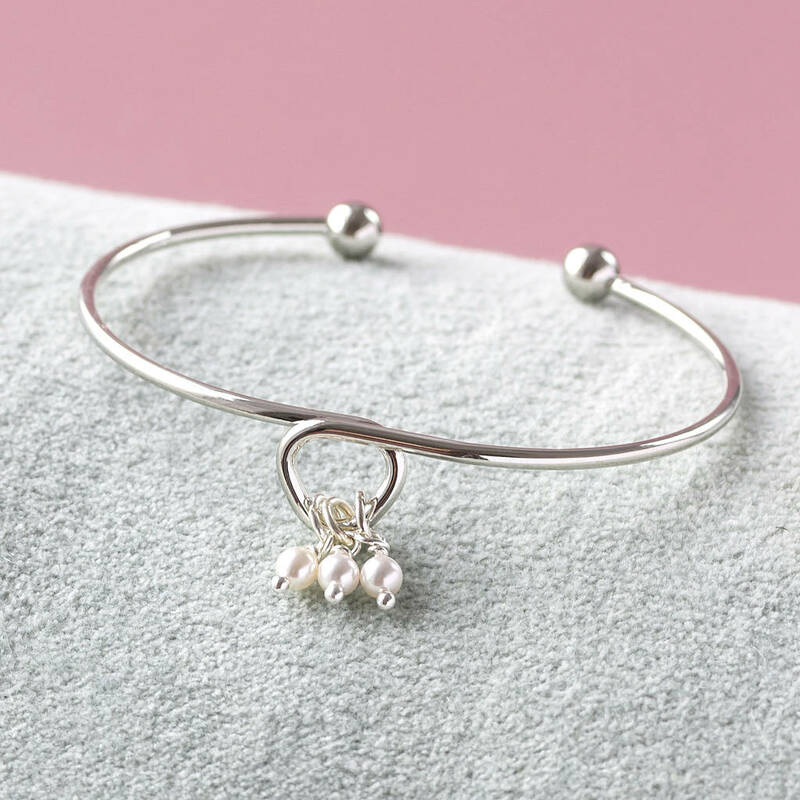 The bangle makes a thoughtful gift for a 30th birthday, each pearl representing a decade. 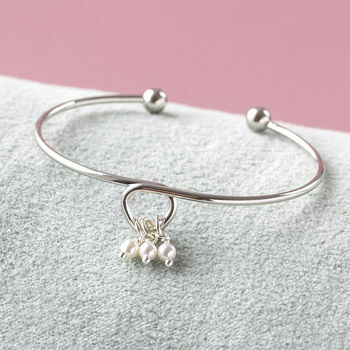 The bangle would also be suitable for any other occasion. 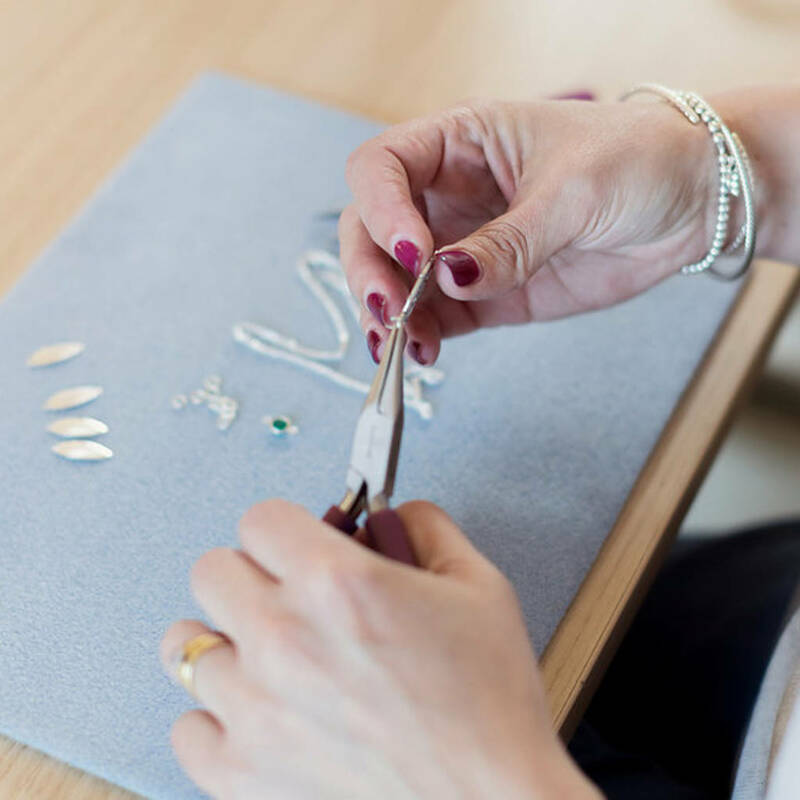 The bracelets should be stored in their box when not being worn and contact with water/cosmetics should be avoided.